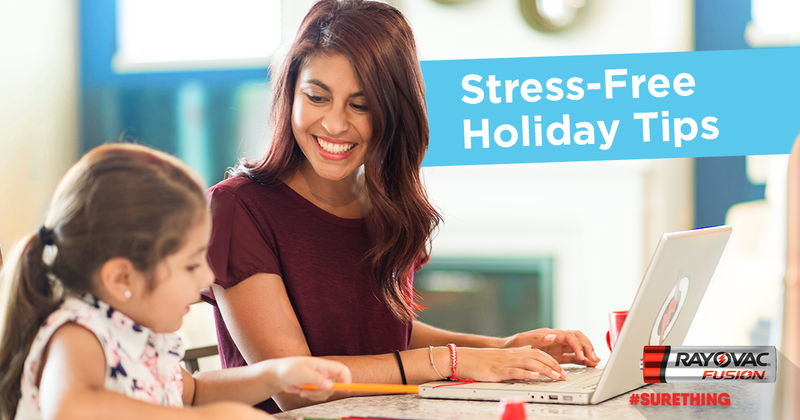 The holidays can simultaneously make us both happy and stressed. On one hand, we get to celebrate festive traditions with our family and friends, which is often memorable and heartwarming — even when we’re stuck with distant relatives we’d rather not see. ☺ And on the other hand, we get bombarded with anxiety from choosing the perfect gifts, ensuring our kids don’t get cabin fever, making the home look festive and clean for those unexpected visitors, and listening to old Uncle Marty banter about politics. Every year the holidays are a mixed boat. And every year they somehow pan out to be among our favorite celebrations of the year. If this scenario sounds familiar, then these tips will help you juggle the holiday chaos and keep your life running smoothly throughout the festive season and well beyond it. Malls and shopping centers are beyond crazy from Black Friday to early January. And getting out of the house to shop for the kids, without the kids in tow? Forget about it! If you know what items you’re looking for then online is a good option to circumvent the in-person shopping chaos and even if you don’t there are endless lists of ideas for everyone imaginable that can be found online. For a lot of us, online shopping is second nature. But it’s also easy to forget our normal routines and behaviors when the holiday stress piles on. Plus, most online stores also have gift wrapping options available, which makes it easier to stop any snoopy family members from ruining their Christmas surprise. If you grab any electronics or toys that use batteries, then don’t forget to toss some long-lasting RAYOVAC® Fusion batteries in your cart. Nothing is more soul-crushing than watching your child’s thrill from opening their new toy quickly turn into a meltdown when they realize you don’t have the required batteries on hand. On the note of remembering the batteries, when you’re wrapping gifts that need batteries, include a pack in the wrapping. If you cover them in newspaper or bubble wrap, the odd shape can also thwart the guesses of the gift recipient! We all like to be seen as superheroes to our kids, but every now and then even we need a little bit of help. And that’s okay. Ask around to see if any friends are open to babysitting while you wrap gifts or finish any in-person shopping trips. If you’re cooking a big meal, then invite the neighbors, the ones that double as your bus stop besties, to help out (offer them the leftovers, too). We at Rayovac wish you, your family and your friends a safe, happy holiday season. We hope these tips help make your holidays a little less stressful and a little more magical. And remember, when your kids’ toys have to work on Christmas morning, Rayovac batteries are the one thing that’s a sure thing!